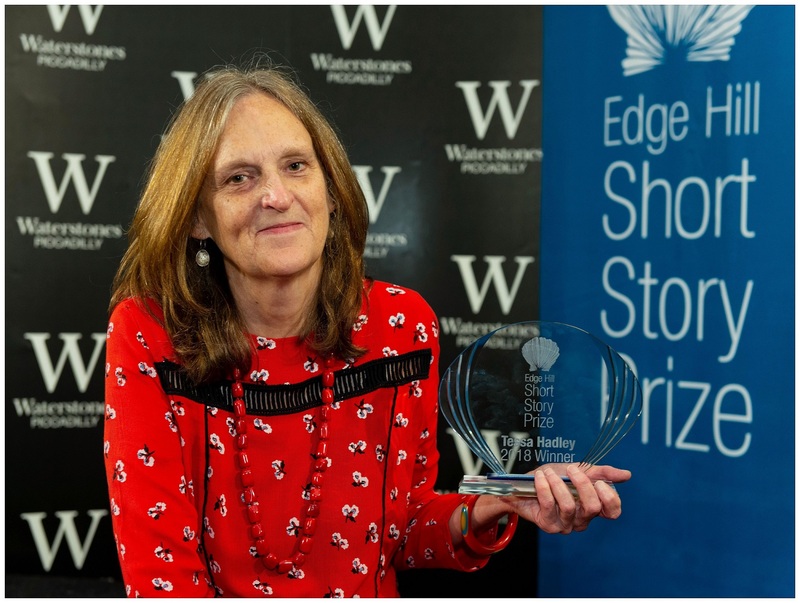 The hotly anticipated winner of the prestigious Edge Hill Short Story Prize has been announced with literary giant Tessa Hadley winning the £10,000 prize. Announced at a special ceremony at Waterstones flagship store in Piccadilly, London on Saturday (3 November), Tessa, an author of six highly praised novels, collected her award for Bad Dreams. In her collection of stories about different people’s lives the ordinary is made extraordinary as the real things which happen turn out to be mysterious. Author Sarah Hall picked up the £1,000 Reader’s Choice Award chosen by a group of 20 Edge Hill University students. Sarah’s book Madame Zero, which was named the Guardian’s and Sunday Times Book of the Year 2017, brings together human and animal tales which blur the natural and urban and mundane and surreal. “It’s lovely to have won the Reader’s Choice Prize – it’s the second time I’ve been involved but you never know if it’s going to happen for you. It’s wonderful that it was a unanimous decision by the students – it’s a lot of pressure to choose a single story to submit as you’re never quite sure what will appeal across the board but it’s great that it was well received. The books were both shortlisted to the final five by this year’s esteemed judges Alice O’Keeffe (literary critic for The Guardian), novelist Paul McVeigh, Ailsa Cox (the world’s first and only professor of the short story) and last year’s winner Daisy Johnson who was short-listed for this year’s Man Booker Prize. The final award of the evening was given to Julia Clayton who won the £500 MA Prize which recognises rising talents from the University’s MA Creative Writing Course. The Edge Hill Short Story Prize was founded in 2006 by Edge Hill University’s Ailsa Cox. It remains the only annual prize that recognises excellence in a published, single-authored collection of short stories in the UK and Ireland. This year’s shortlisted books were: Madame Zero by Sarah Hall; Basket of Deplorables by Tom Rachman; Bad Dreams by Tessa Hadley; All the Beloved Ghosts by Alison MacLeod and Come Let Us Sing Anyway by Leone Ross.